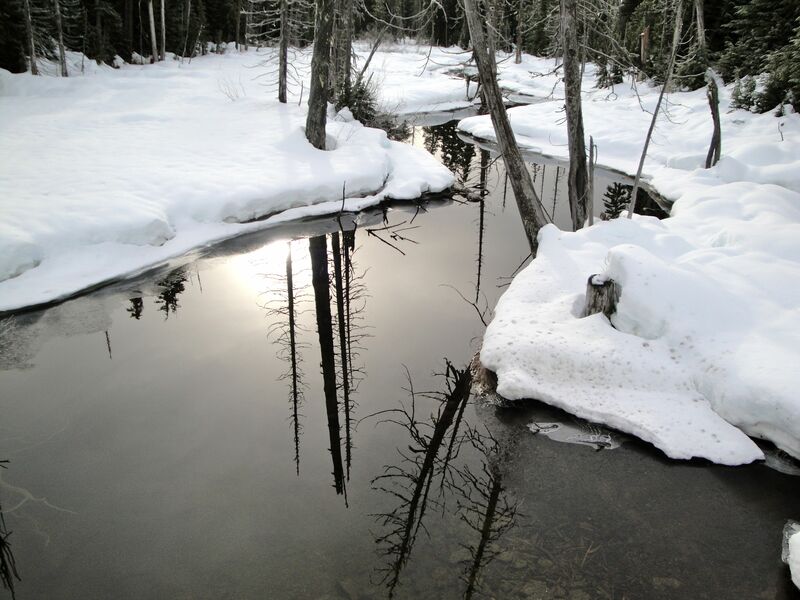 Creek at Whistler, Vancouver Olympics. 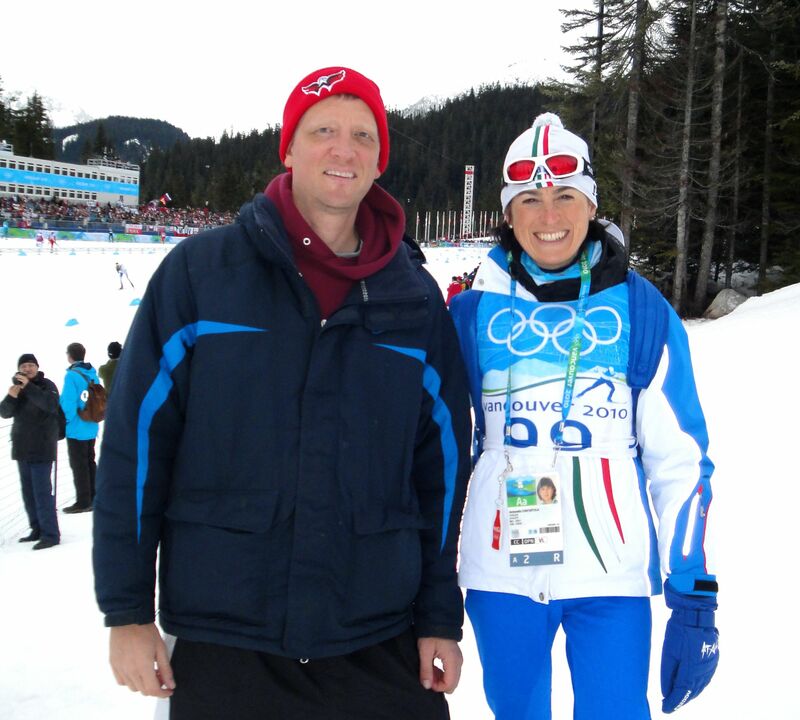 With Italian Cross-Country skier Antonella Confortola at the Olympics in Vancouver. 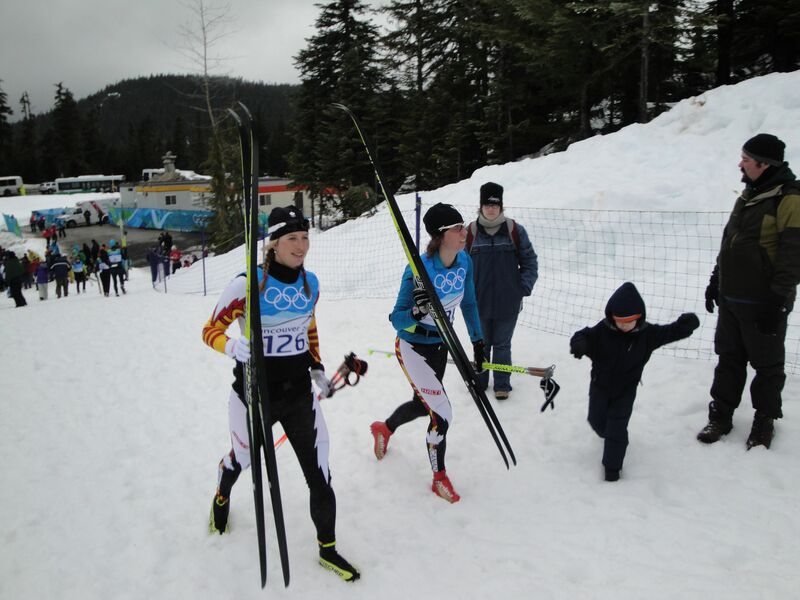 Cross-Country skiers prepare for the 10k race at the Olympics. 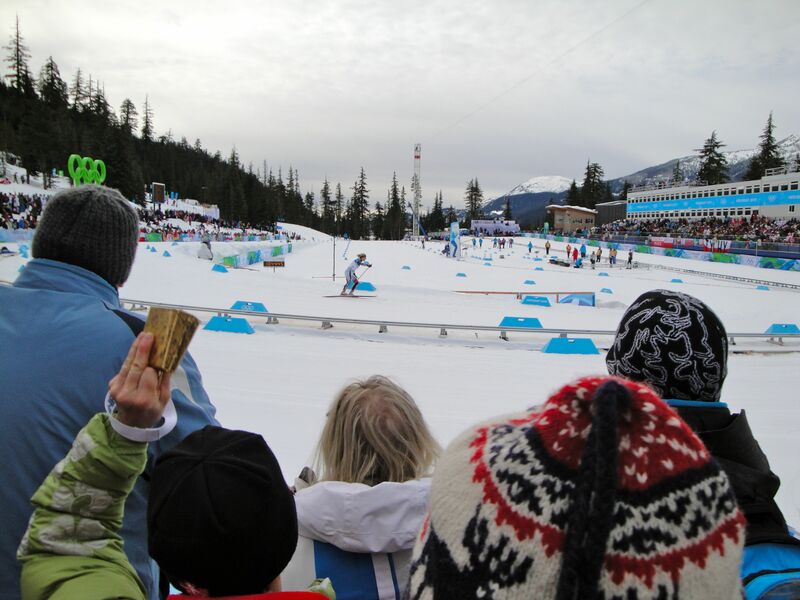 Women’s 10k Cross-Country skiing at the Olympics. 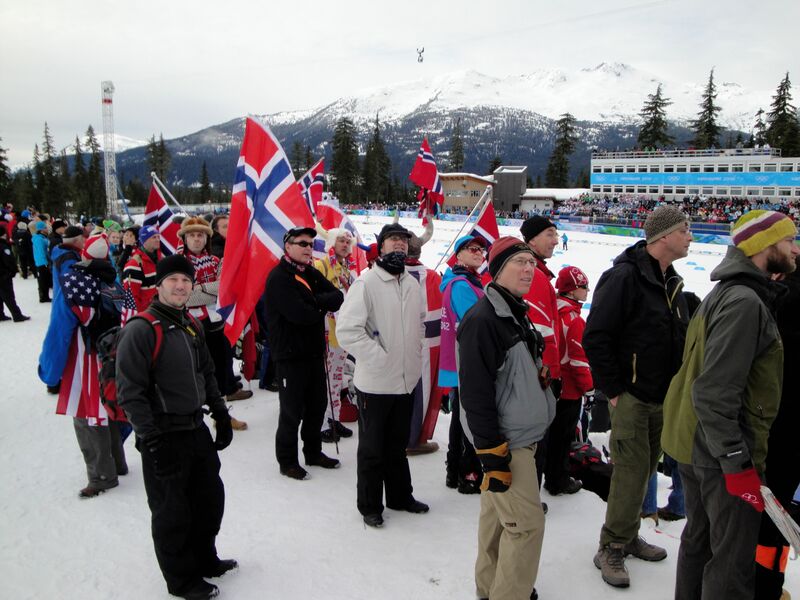 Norwegian fans at the Cross-Country stadium at the Olympics. 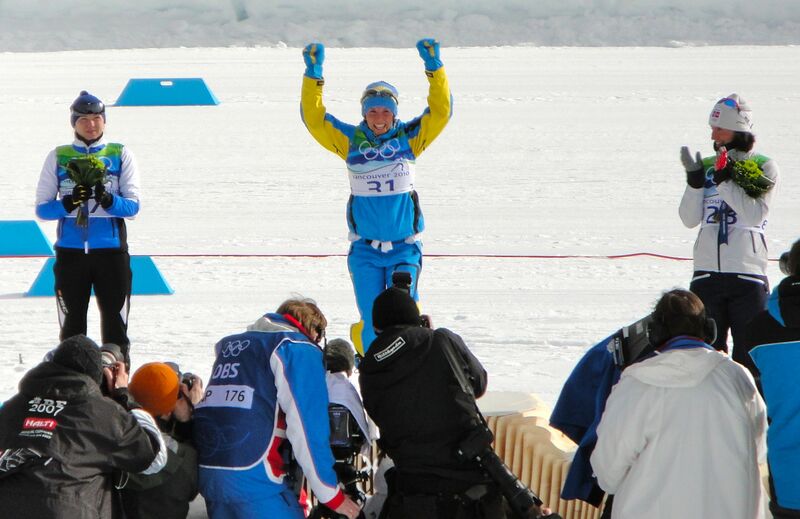 Charlotte Kalla of Sweden celebrates gold. 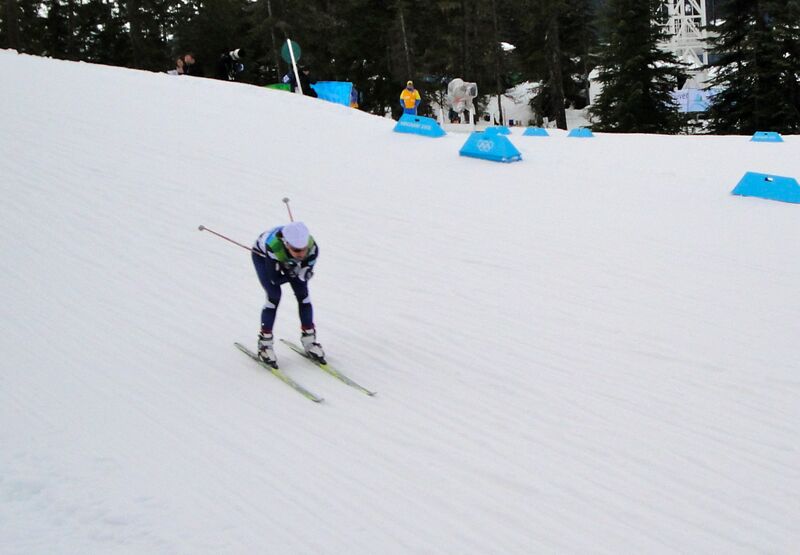 Kristina Smigun-Vaehi of Estonia (left) won silver; Marit Bjoergen of Norway claimed bronze. 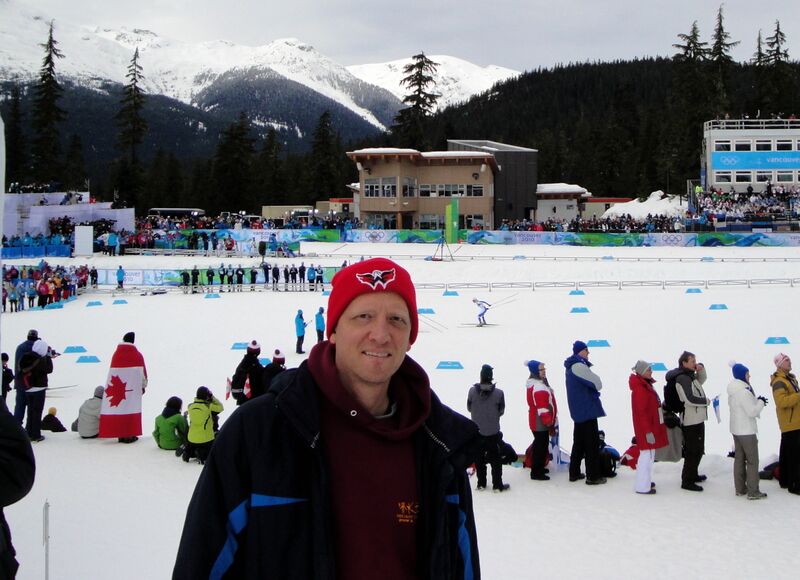 Watching women's 10k Cross-Country skiing at the Olympics. Photos brought to you by www.coachmike.net. 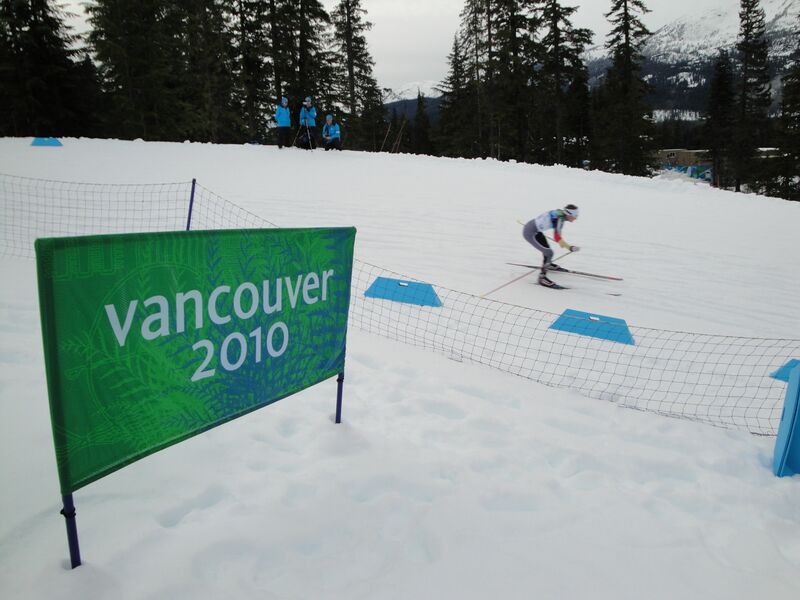 This entry was posted on February 22, 2010 at 11:13 am and is filed under Winter Olympics. You can follow any responses to this entry through the RSS 2.0 feed. Responses are currently closed, but you can trackback from your own site.